Knysna Heights is situated above and to the west of the Knysna central business district, on the slopes of the hillside as the name implies. 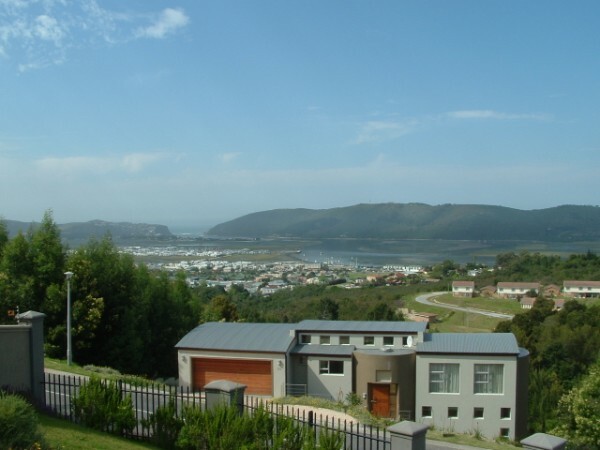 Properties in Knysna Heights offer views of the beautiful hills and lush green dales on one side or of the Knysna town, the lagoon and the Knysna Heads on the other side. Houses in Knysna Heights get plenty of sunshine and the sunset over the mountains are an absolute treat! Knysna Heights has grown rapidly, keeping up with the growth of the beautiful town. The area boasts a private school on its doorstep, plus a baby school and preschool. If you buy in Knysna Heights, you're no more than five minutes from town and no more than ten minutes from the finest golf courses and other sporting facilities in Knysna. Knysna Heights properties vary from upmarket and elegant, to affordable, well-priced family homes. The area surely caters for everybody.